Toby and I came to LA to hang out with Opponauts and hang out with my old pal Dave. 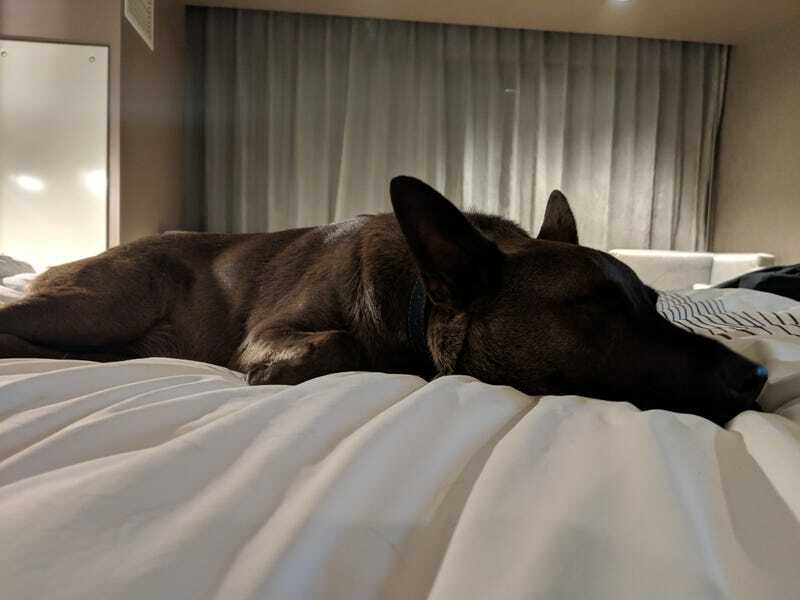 Toby is settled in for the night at the Beverly Hills Marriott, which is a nice hotel. Admittedly, it was a fun drive in the GTI, and I may take the long way home. I need to find an electrical specialist for the Sunchaser. Look for Toby at Radwood.